Fall has officially arrived, and with the last few days of warmth it’s time to tackle those last minute chores that can help prevent our homes from damage this winter. From lawn mowers to lawn chairs, it’s time to stow away whatever it was we were using daily during summer. When snow falls, the last thing you want is for your mower to get buried and your chairs to get blown away – let’s put them away until next spring! Before you turn on the fireplace this fall, there are a few things you’ll need to check. First, look up the chimney or blockages – did birds bring nesting materials down with them? Did critters climb down? If these materials catch fire, it could crack the chimney and cause a hazard. Lastly, don’t forget to check the Chimney damper, which allows you to close the flue when the fireplace is not in use to prevent heated or cooled air from escaping the home. If any of your chimney parts need repair or replacing, take care of them down before frigid nights arrive! Got air leaks? Seal the cracks around windows and doors to ensure you don’t waste heat this winter and that your home remains a comfortable temperature. One of the last things you want in winter is a leaky roof, so let’s resolve the problem before it’s too late! A few ways to determine if you have a leak is to look for missing or damaged shingles, or water stains on the ceiling or walls. As your roofing contractor to address the situation immediately and secure your roof once more. 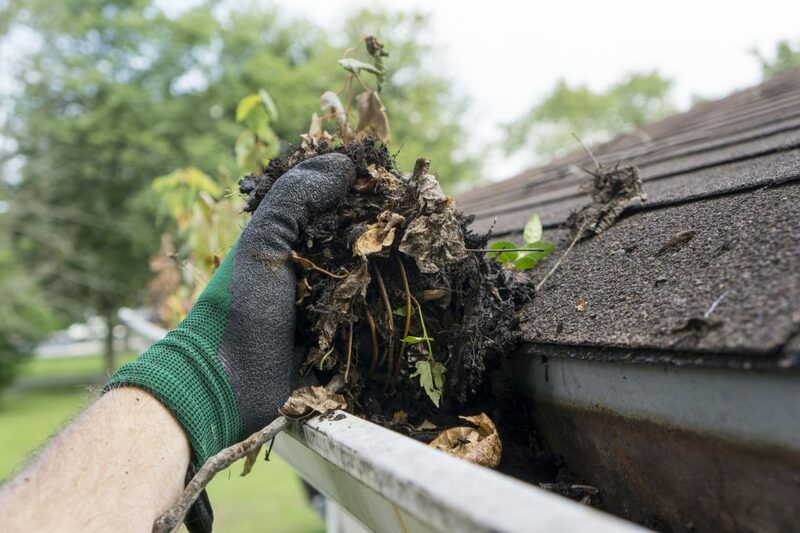 This fall, your gutters should be clean and debris free! The downspouts should also be directed away from your house to prevent flooding. If you need a new gutter system, turn to your roofing contractor for proper installation. Gutter systems installed by Landmark Exteriors are created with copper, painted steel, aluminum or other materials to complement the architectural design of your property. We will work to ensure that the gutter system allows for proper drainage while remaining architecturally appealing. Landmark Exteriors will determine the proper pitching and the correct number of downspouts for your property. Meanwhile, our Landmark Exteriors Home Care division can help to maintain your gutters with regular cleanings. To learn more about these services and more, visit us on the web or give us a call at 203.838.3838. Next Next post: What Does Home Siding Really Do?